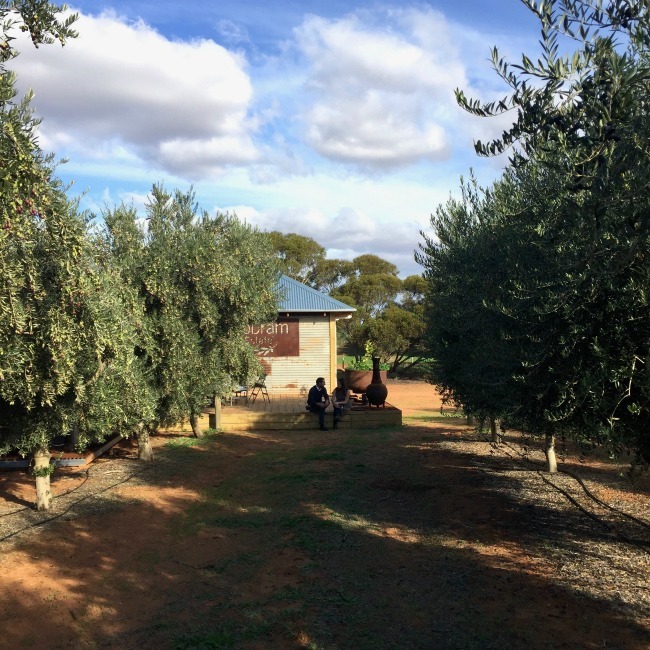 Last week I was lucky enough to spend the day at Cobram Estate, in northern Victoria, to learn all about olive oil production. And learn I did! 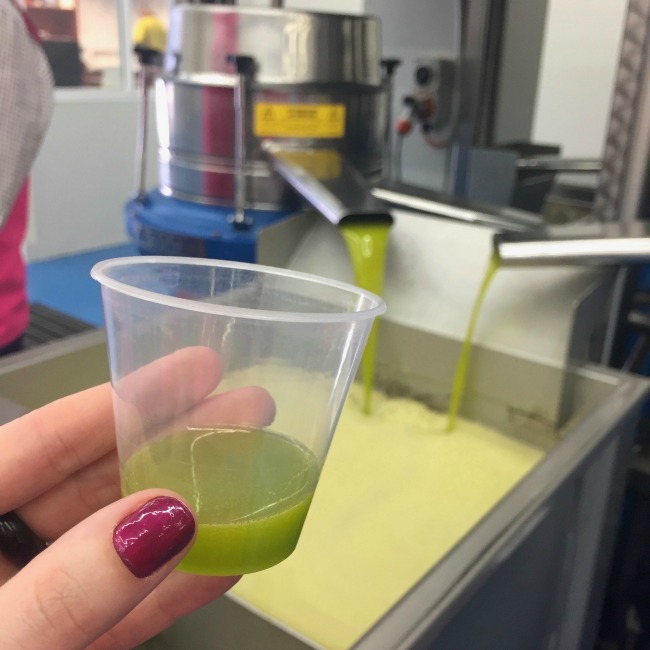 We got to experience the harvesting process, an olive oil tasting, hear from a nutritionist then topped it all off with a delicious lunch. 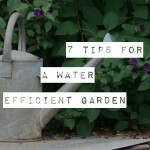 Today I want to share some of my learnings with you all as well! 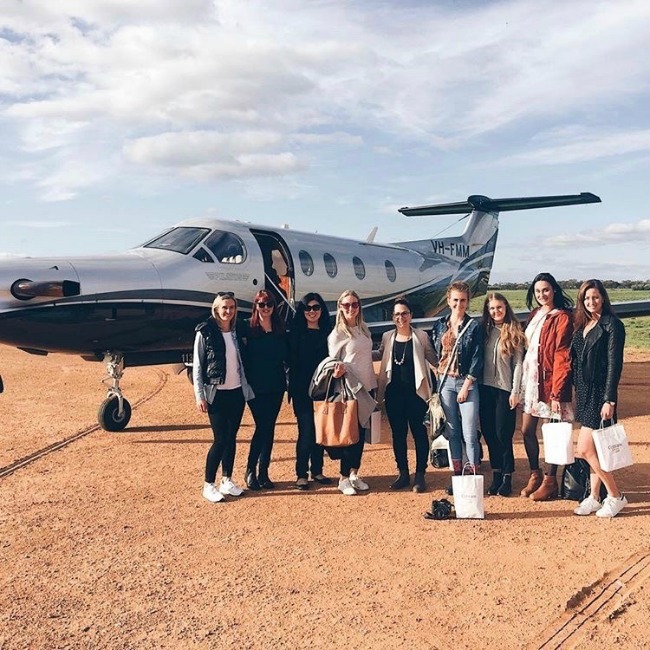 We travelled to and from Cobram Estate in style – by private jet! Not my standard mode of travel, so we were off to quite the start! Cobram Estate is located in Boundary Bend, not far from Mildura up by the Murray River in Victoria. Our visit coincided with harvesting season, which generally runs from April to early June, and is a 24-hour-a-day undertaking over that time. We kicked off our visit, under the direction of Rob McGavin the co-founder of Cobram Estate, by climbing aboard one of the harvesters. 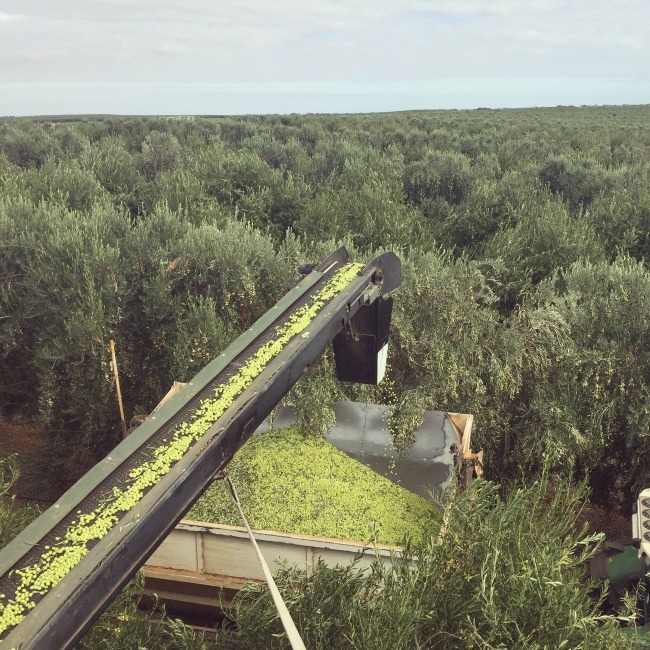 It was amazing to watch the olives being shaken from the trees onto the conveyer belt and then into the back of a truck. 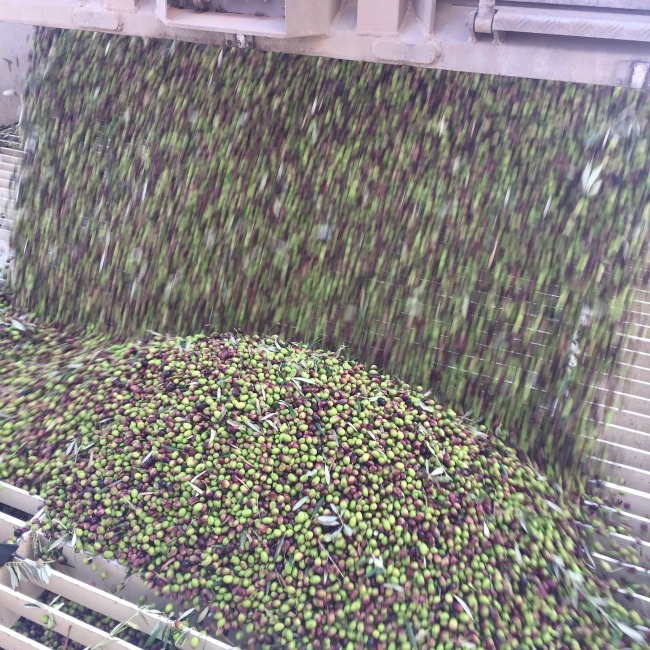 It was a methodical process, with the custom-designed harvesters able to collect up to 93% of the olives from the trees, which is pretty impressive! 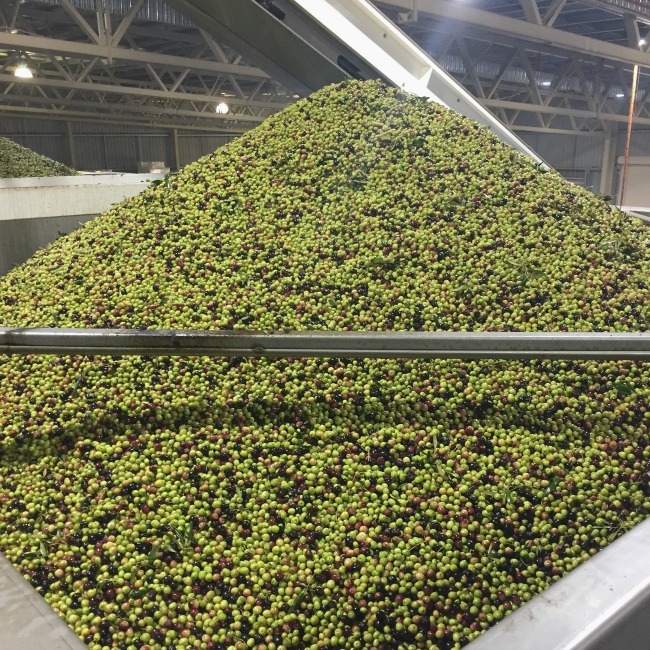 Once the trucks are filled they head off to the processing plant, with the trucks being emptied every 2 hours to ensure the olives are as fresh as possible when they are pressed for oil. Once at the processing plant the olives are checked for freshness, weighed and monitored, to ensure not only quality control but also full traceability of each batch. We watched the olives going into vats to be cleaned and crushed, after which the olive skins, pips and water are combined to create a sludgy, thick tapenade. After this, the real magic happens. The oil is extracted and we were able to taste it straight from the vat – you don’t get any fresher than that! It had such a strong flavour, unlike anything I’d ever experienced with olive oil before. The oil is then piped into holding tanks before being transported to Lara for bottling. The whole process from tree to holding tank is done in a matter of hours, which I found particularly interesting. By reducing the time between stages the olives are not only at their freshest, but there is very little chance for oxidation to occur which ensures the oil is packed with antioxidants. 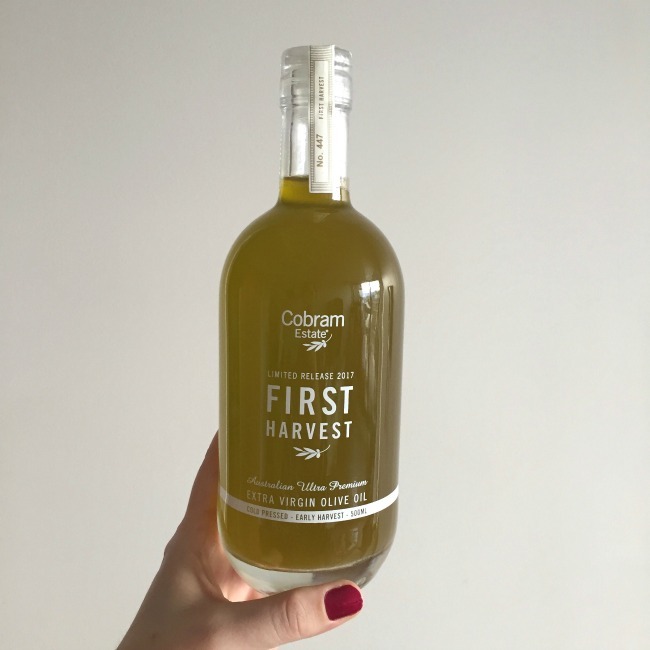 It’s this focus on freshness that makes the extra virgin olive oil from Cobram Estate stand out on the world stage, and why it keeps winning awards. There really is minimal processing to create extra virgin olive oil! It’s best to consume your oil within 6 months of harvest, and the best time to buy it is in June or July, as all Australian producers harvest at the same time of year. 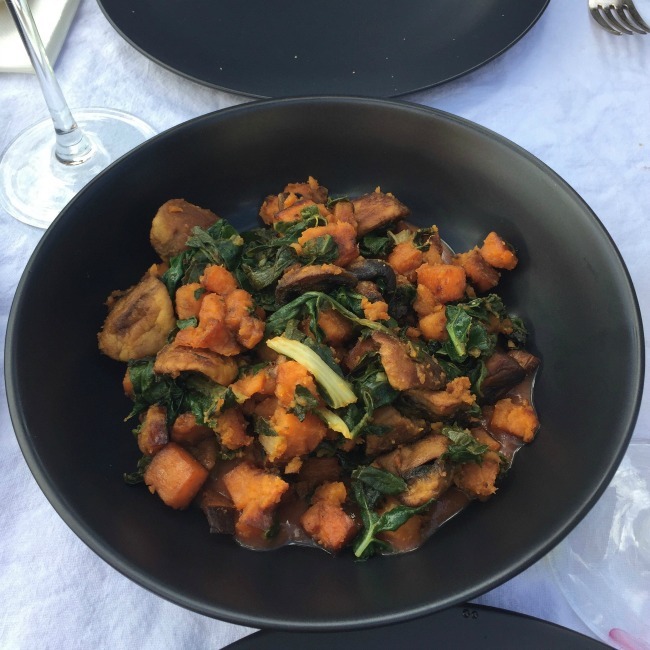 The flavour and nutritional profile decrease over time, so the fresher the better! Rob also talked us through all the ways they are aiming to reduce their impact on the environment, which of course was of great interest to me. All the skins of the olives are collected and composted so they can be returned onto the trees and return nutrients to the soil. They also carefully monitor the water and nutrient requirements across the different olive varieties which allows them to reduce their water usage and only fertilise when necessary. Even more impressive is the fact they are planning on creating an entire off-grid section of their farm, using solar and battery storage, so I’ll be keeping an eye out for how that progresses! 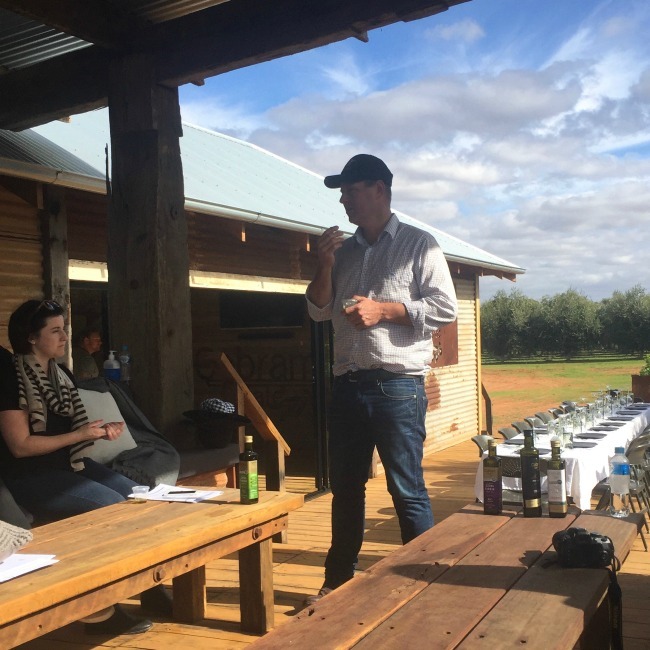 Once we were back at the gorgeous Cobram Estate ‘shack’ we were taken through an olive oil tasting session which was pretty eye-opening for me. Rob stepped us through different Cobram Estate oils, and we were shown how to appreciate the differences between them all. It was remarkable how different each of them smelled – everything from grassy scents to tomatoes, apples and tropical fruits. I was also amazed by the fact the oils didn’t leave my mouth feeling, well, oily! Instead it was clean and fresh, which is a sign of a high-quality extra virgin olive oil. If you find yourself with an oil that both smells and tastes oily then it’s gone rancid, and it’s time for a new bottle. 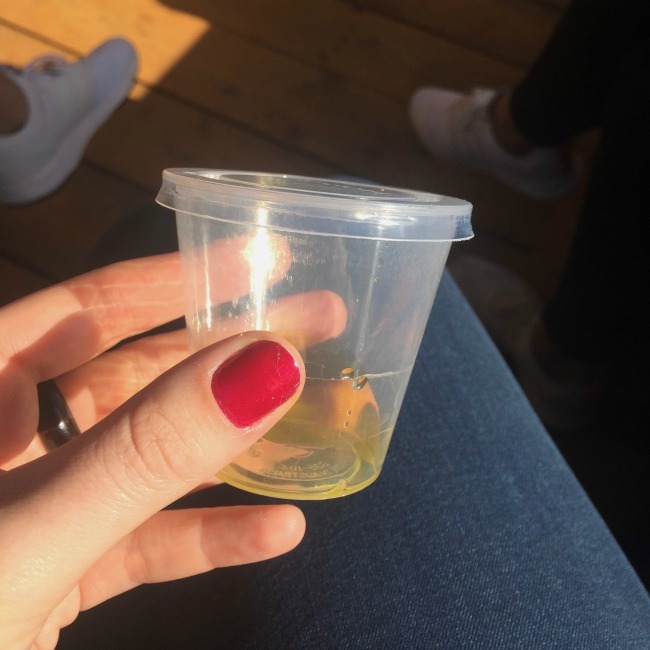 Tasting the oils was an interesting experience as it hit our mouths and throats in ways none of us were expecting. All of a sudden we were getting bitter and almost spicy undertones which Rob explained was the antioxidants at play. I never knew olive oil could be so complex! Throughout the day we spoke at length about the nutritional value of extra virgin olive oil, in particular the high levels of antioxidants and Vitamin E present, as well as squalene. It’s also free from trans fats and has been shown to be great for heart health and inflammation. This is not so much the case with olive oils that are not Australian extra virgin olive oil, as the processing and harvesting processes can differ greatly, which impacts on oxidation and often includes refining which strips out many of the nutrients. Another reason why supporting Australian farmers is so important! There’s been a lot of discussion over the last few years about whether it is safe to cook EVOO at high temperatures. Cobram Estate have been doing lots of research in their lab (which is accredited and puts out peer reviewed papers, which is so important) and this research is showing that not only is it safe, but it’s actually good for you. High quality EVOO remains stable up to temperatures of 240C for long periods of time, which makes it a-ok for regular home cooking. It appears to not only remain stable, but provided antioxidants and healthy fats to your food. This research is yet to be formally published, but it definitely appears to be a positive sign for Australian EVOO. After all our learning it was time for a feast! 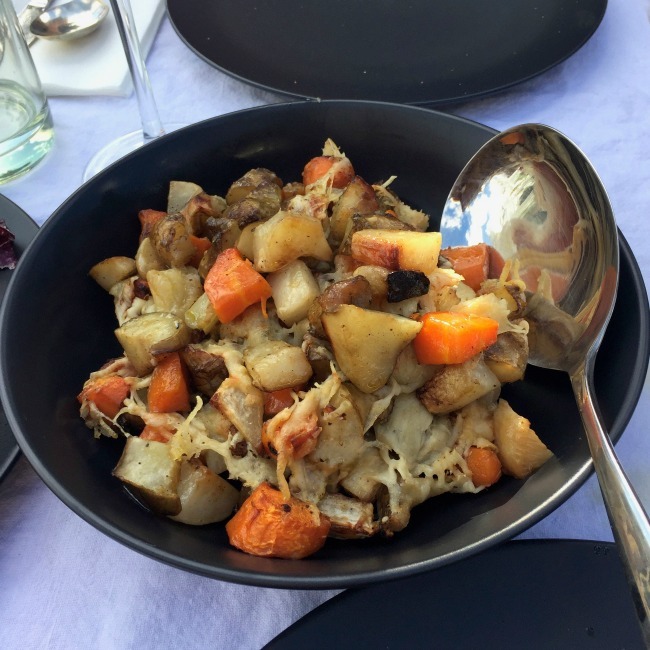 We were treated to a gorgeous lunch with each dish featuring a different kind of EVOO – as well as some on the table to have with crusty bread of course! 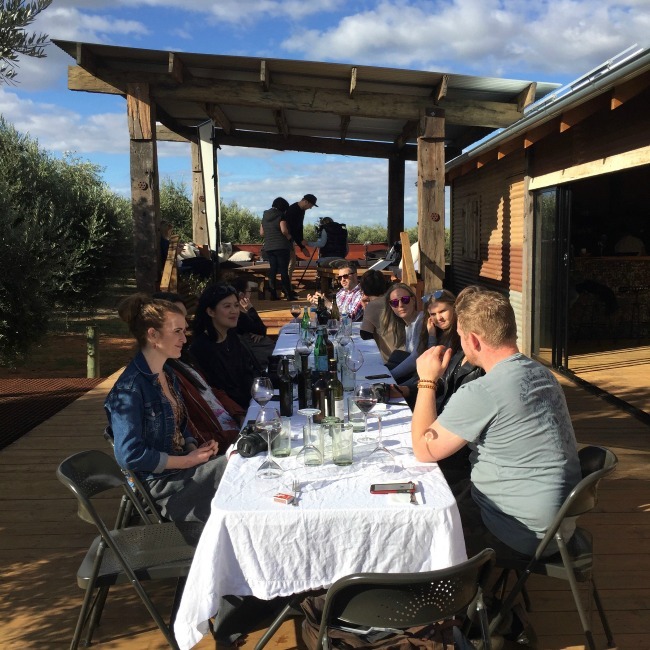 The food was delicious – salads, veggies roasted on the open flames, pork belly for the non-vegetarians in the group and plenty of wine! 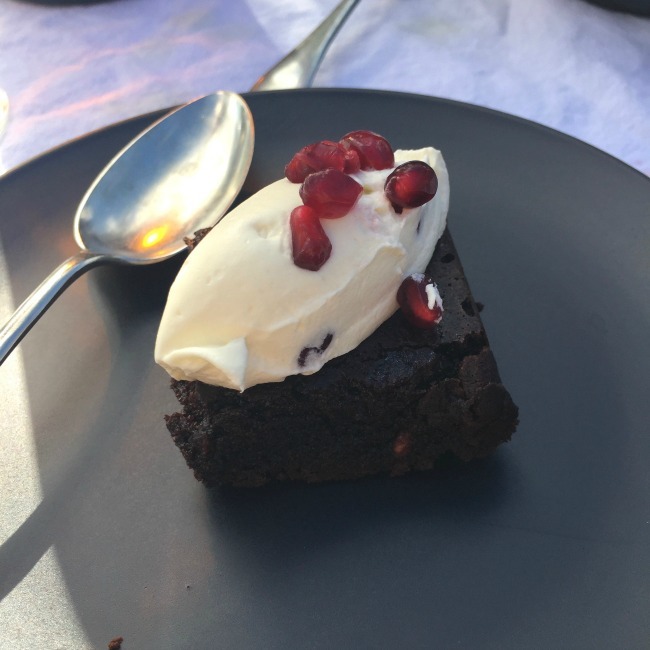 Even the dessert made olive oil the star – it was an incredible brownie with pomegranate seeds and cacao nibs, topped with more pomegranate seeds and a light, zesty cream. It was the perfect way to end a long lunch in the sunshine! We were also sent home with a bottle of the limited release First Harvest Olive Oil, which is the most incredible colour. Each bottle is numbered (mine is number 447) with the harvest date also on the bottle (28th March 2017 – so fresh! ), so it’s very special oil. I think this one will be used on salads and for bread dipping to get the most out of the flavour! 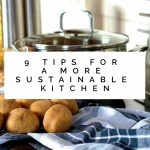 Phew – this has been quite the long post! I think that’s reflective of just how much I learned and just how much fun I had! 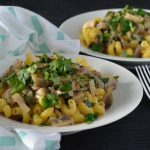 I’ll be sharing more about what I learned, as well as new recipes using my fancy olive oil over the coming weeks, but if you’ve got any questions pop them in the comments! 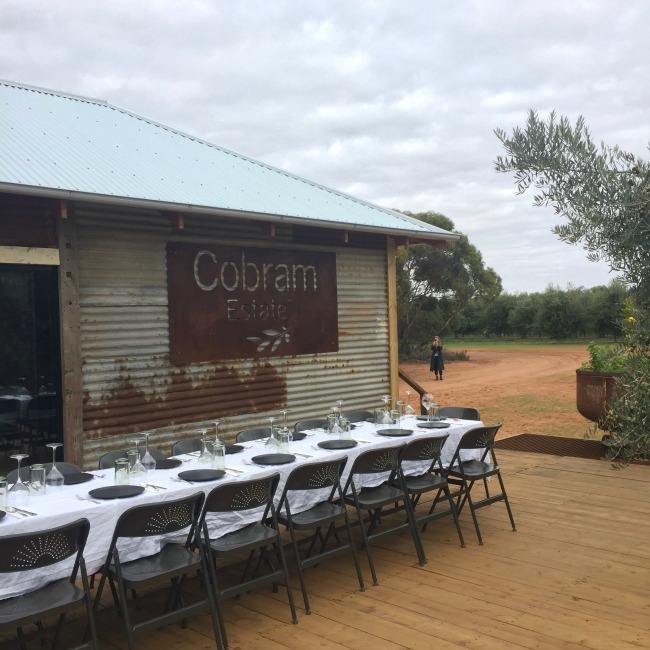 I hope you enjoyed seeing some of my visit to Cobram Estate! I just love a good olive oil, and you know its good when you can enjoy it with just bread and it isn’t ‘oily’! Sounds like a wonderful day. 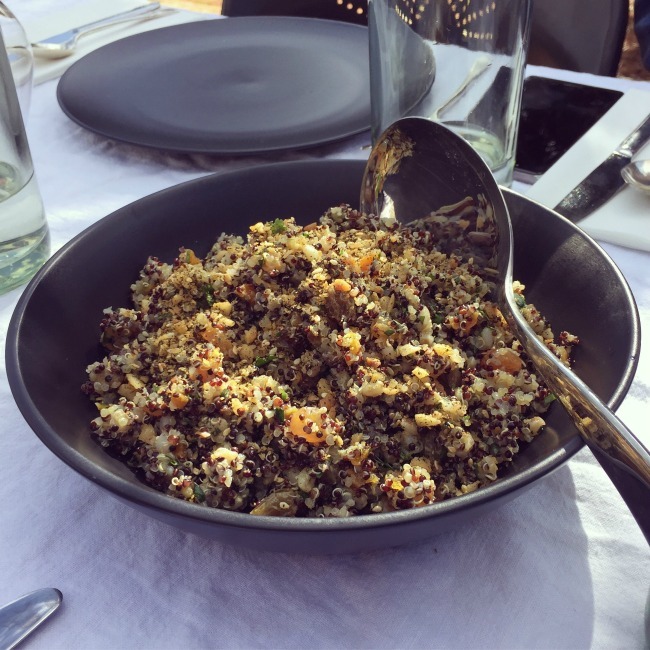 Wow – I love Cobram oil olive and this looks like it would have been one amazing day. I sure a few people posting bottles of the first harvest on instagram and I thought ‘I wish I could get my hands on that’. It was such an amazing day! The oil is incredible, I’m making so many salads to drizzle it over!